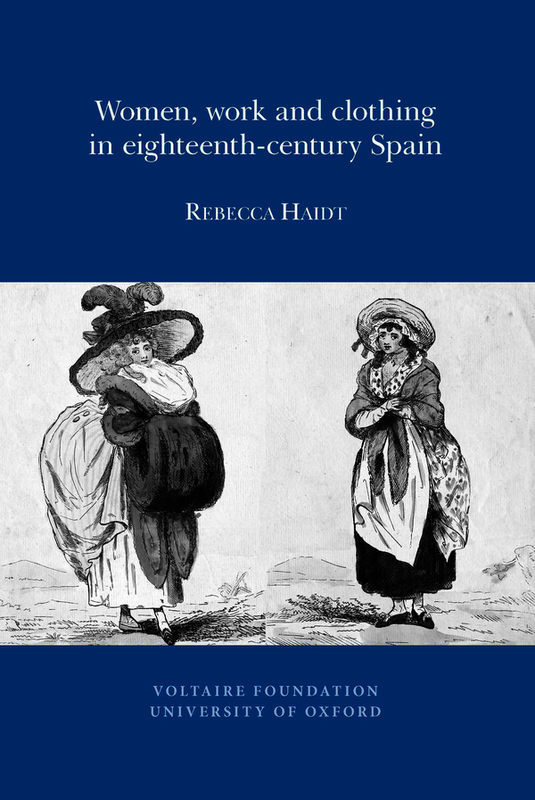 Combining cultural history, literary analysis, and studies in economics, material life and gender, Rebecca Haidt shows how clothing and display penetrated all corners of eighteenth-century Spanish society, and reveals the ambivalence of women who wore, traded, mended, bartered, sold, stole or created garments that came to mark their status in society. Focussing on sainetes and tonadillas (popular short plays and musical sketches) the author examines the representation of a culture where ‘fashion’ was impossible to separate from issues of labor, commerce, and productivity. These theatrical skits exploit the resources of music, song and costume to heighten their depictions of women’s work in garment production, circulation and display across the entire social spectrum. They provide a wealth of information about both eighteenth-century clothing cultures and women’s struggles for identity, economic development and urban survival. As Rebecca Haidt demonstrates, women’s dress is a key barometer of the cultural values of a period, expressing differences between affluent and poor, privileged and marginalized.